framework of the Sovereign Integral. identity, threatens what they perceive as their hold on existence. James is asked a question during the interview regarding Dan Burisch and the existence of man-made stargates and such. I agree with the answer he gives. He states that this story is a deception and merely a human drama of the HMS. However, I have always held the same opinion concerning the whole Anunaki/Niburu story as well. Both stories don’t seem to hold up logically…neither intuitively feel correct to me. Besides James saying so, what specifically makes one of these stories true/genuine and the other a deceptive drama? This is a question that came to mind, one in which I did not have a satisfactory answer. I agree about allowing ourselves to ask questions about claims anyone has made and to know where that information came from. There is so much disinformation on the net and elsewhere that discernment of any data given is important part of the process. I believe, that James has provided a key, to help us discern "truth"...when Dr Neruda told us to ask ourselves "Who stands to gain?" when we see these things unfold. I personally have taken into consideration, that Dan Burnish and the alike, who worked as professionals in the Military Complex have a very tainted perspective of "the real world"...and fail to see, even now that they are semi disconnected from it, how they were and are still being used. As the Interviews point out (WM's and PC) these men lead "normal" lives...they have wives and families that love them unconditionally, even though they know that the Government has become their God...and their service might including spraying them with chemtrails, or any of the other suggested measures they swore to conceal and were involved in promoting as laid out in the Iron Mt report. I happen to know from personal experience how fractured their minds have become, having a father that was a member of the Joint Chief's of Staff. I have no doubts that they believe that what they have done, or are still supporting is "doing the right thing" and for "national security"... if their memories have not be wiped. I have no reason to believe that these type of tactical procedures -promoting DIS-information, isn't going on in all species. You might ask yourself why any Anunaki would be willing to tell any human the truth or why would the secret government reveal their existence...what do they have to gain? And what does James have to gain, when he is ridiculed publicly on the world wide web for disclosing this to a programed generation? What do you have to gain, by activating a personal consciousness of Source Reality...that is not dependent upon others to tell you who you ARE and what has gone on in the past to pervert that reality, and what will go on in the future based upon your contributions to the Whole? 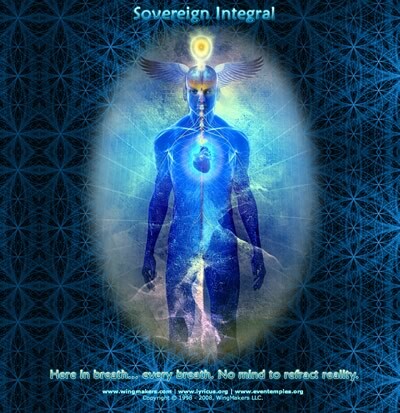 It is clear to me, that aside from the "mythologies" - that this is James' first priority...to give you the opportunity to KNOW for your self...by activating a Sovereign Integral's perspective of All that IS...he knows that if this information comes from anyone outside of your SELF...you will not believe it. asking questions includes discerning and how we discern depends on the state of mind we have, as well as our deepest integrity of truth. Understanding the information that James has given about the HMS and how it came to be requires for some to question the story of Anu. That should be their freedom to do so and during this process of reasoning and discerning truth from dis information, the Quantum Pause provides another tool. We do need another consciousness to move beyond what we have today. I do understand what you are saying here dae...because you are new to this forum, your perspective may not take into consideration the fact that everyone else present here, has had years to prepare...and of their own free will, have resisted this awareness, and flat refused to activate their higher minds... that was, and apparently remains, their choice even though the WN led them here...nothing prevents them from doing it NOW either. The seeking of information is over. The seeking of a master, guru, religion, spiritual path, or way-shower is over. The seeking of objects of blame is over. The seeking of hidden information behind the dark forces is over. It is the expression of the Sovereign Integral consciousness and the deactivation of the suppression framework that becomes the focus of each individual in this new era. the materials we have been discussing in the WMF, point out quite clearly that the MIND is not able to comprehend what is being revealed now, and that the purpose of the WMMs is give one the opportunity to develop the Sovereign Integral's perspective...we have had TEN YEARS to do that...there is really no excuse for this IGNOREance or resistance to this awareness...and trying to blame others for their inability grasp it. as James has said, "This path is not for dabbling, or mental exercise" ... "This material is not meant for the weak of mind or lazy of heart. It is extremely challenging on many different levels, discernment being one of them. There is a significant amount of information encoded into the art and music that bypasses the conscious mind. In this way, discernment is not required." and finally here in the new interview:"This story is not for everyone. Some will feel threatened by it and react with a sense of alarm, and others will feel like someone pulled the rug from underneath them. If you feel any of this, you may not be prepared to confront these realities." Yes, this and simply realizing that you don't want to participate in this system the way it operates anymore. Taking a stand and saying I'm not going to do this anymore puts one in another place which the HMS doesn't want you to go to. Whether you have been following these materials for years like some of us or you just simply get it through your own realizations otherwise , hooray, your dismantling walls and that is what we are here to do , and hopefully as a team, for those mature enough to be able to work in such a mode. We are sooo all in this together. Think about it, Anu imprisoned an entire Universe with his HMS. The one which we are imprisoned in right now. Or maybe to be more specific, the known Universe we reside in now. However, here I go, maybe he didn't know all of it. The Central Race resides very close to the domain of First Source in material form and invisable to all but those closest to First Source. Maybe not of the material we are accustomed too but material none the less. And First Source being ALL of our Source including Anu's no doubt was very much aware of Anu's plan and implementation of it and the ignorance of the Sovereign Integrals unwittingly helping him to realize it. That's us. So this brings it to another level of overview if not understanding. I know it helps me to find a way to forgive Anu and myself for participating in his plan. Anyway, to see the walls to be ripped down from inside and out makes for a more thorough job. Being in a human instrument on the inside of the HMS and being very much aware of the wholeness of the Sovereign Integral , the overseer, accelerates the process of bringing about the proclamation of the Grand Portal on a planetary scale. Joining the galactic community pales in comparison. It is another program of the HMS. Here and now. That is a wonderful and in my opinion, correct analysis Shay - if not totally correct then certainly closer to the truth, and liberating at that. As far as QueenBee goes - well we are she and she we so in relation to Anu She can take it all in her stride, Being the Ghost in The Machine - the planet intelligence - the Rock. Hey William, I was thinking of you when I wrote that and no doubt because a greater understanding was coming to me and thanks to you and our Sovereign Integral. I dont need to ask any questions -- the focus is on the tools given to us and going through the process of SI integration from quantum moment to moment. I have been with the materials for a long time -- and feel this is quite like home! William, I really like 'Ghost in the Machine' I like your expression through music, I can appreciate that. Thanx. Renovatio, does this interview resonate with you? If so what are you looking for outside of yourself to confirm that what this says is true? And why look outside when inside rings out so loudly? Could it be that some programming is activated because this is true? Could that be walls needing to be torn down ? And fear, its a program too. Our solar plexus hold it there and that I find real interesting. I focus the Sovereign Integral in my solar plexus. I will be honest with you in saying that this particular interview did not resonate with me. Previously, I have resonated with everything else that James has released, but in this particular instance it lacked that intuitive “rightness” that I have felt in the other materials. Of course this lack of resonance surely has something to do with the introduction of some ideas that conflicted with my previous belief system. There is nothing wrong with that…it does not frighten me in any way. In fact, it gives me the opportunity to re-examine my previous beliefs. In other words, my reluctance to accept such notions may have much more to do with me and my belief systems then the information itself. I suppose I am unwilling to change my beliefs just because someone I respect has introduced information that conflicts with them. I doubt you would suggest that anyone do such a thing. At this point I do not have any information to confirm such a story and I do not have that inner feeling inside to suggest something like it to be true. That being said, I am not very attached to my belief systems and I am always willing to update and expand my understanding. Thanks for the question. I loved this new interview and came here today to see about thoughts and comments. I see many. This is what I had hoped. In response to the questions about why we submitted to Anu's trick, I would like to submit that there are some things that are impossible to truly experience unless we are unaware that we are the creator gods of the universe. As soon as we know, the game is off and the true experience is gone. So, I believe we/I chose to come to Anu's world to experience an altogether unpredictable and extraordinary unknown. The motivation could have been innocent curiosity, or arrogance that we could never get really caught in it or perhaps many other motivations. Perhaps we can predict those motivations from attitudes we encounter. Whatever the motivations, I believe that when it is all sorted out (whatever that means!) we will be more compassionate than we could ever have been without this experience behind us. We will have a capacity for forgiveness unparalleled. Our understanding and humility will be pure divine grace. We will be known throughout the multiverses as the valorous ones. And we will appreciate our time spent here and now. I loved this interview and I am also grateful for the excellent questions. And, I am also glad to see weareus. I was very intrigued with the concept and sorry to see no more recent posts. I love the way this picture breathes... and did you check out the name of the website it is posted on? I am Superman. I am imortal. Eternal. Superpowered. I was seducted, tricked or perhaps chosen to experience kryptonite offered by Lex Luthor. It penetrated profoundly inside me and covered my essence, my heart and I lost my power. I forgot my true nature. It was billions years ago. Since then I was wandering on Earth as human. Some years ago, I remembered who I am and I began to search the nature of kryptonite and its antidote. Now I discovered the true nature of kryptonite. It is FEAR. And its antidote is LOVE. So I began to choose Love over Fear.